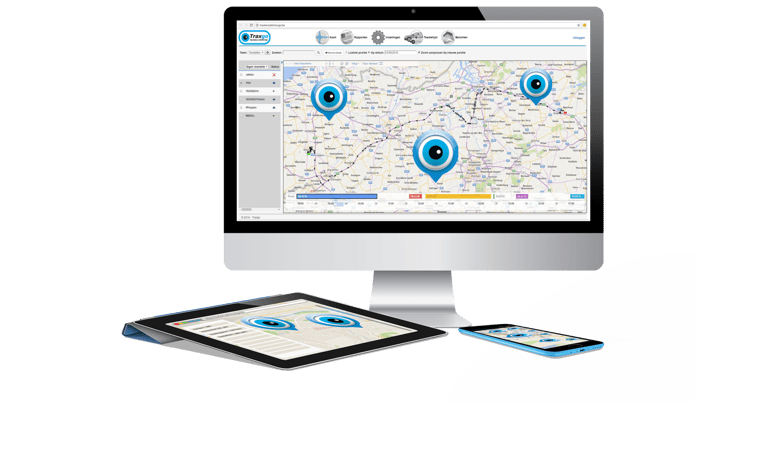 A GPS Tracker installed in your vehicle regularly forwards important data about the vehicle, such as its location, speed, etc., via a GPRS/GSM link to a server. Your data are processed on this secure server. As a customer, you can log into our completely secure Traxgo platform. You will see a clear overview of the data on a map and in the form of reports. In this way, you can track and manage your vehicles at all times. In case of any unwanted movements, you can immediately intervene thanks to an engine immobiliser system. This leads to increased security. Via CAN bus links, you have access to concrete information about your vehicles, such as fuel levels and speed, etc.